Go pier fishing and see if you can top the pier’s 1964 record catch – a 1,780-pound tiger shark. 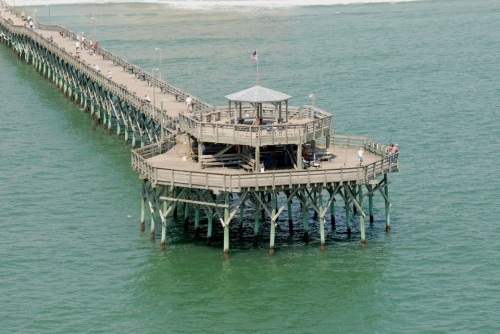 The Cherry Grove Fishing Pier reaches nearly 1,000 feet into the Atlantic Ocean, boasts an observation deck and features the Driftwood Restaurant and The Tackle Shop. Pier admission allows you to fish from the pier without a saltwater fishing license. Open 24 hours daily in summer.